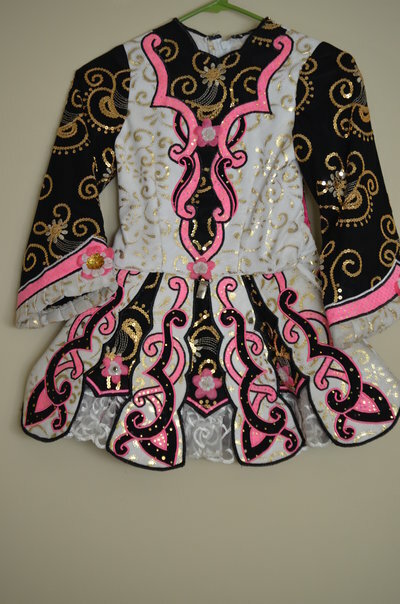 Beautiful first solo dress perfect for a slim size 6-8 dancer! 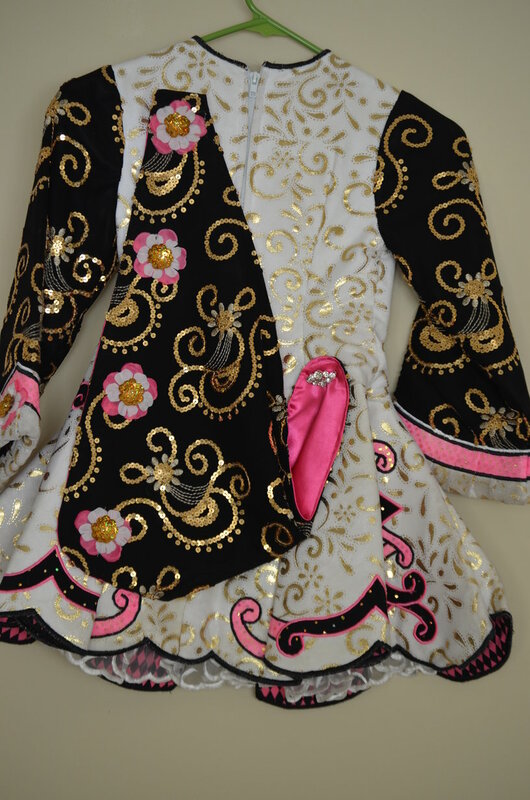 Dress is cream and black with gold and pink floral accents that together are wonderfully eye catching on stage. 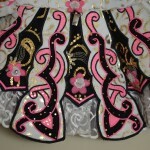 Lace embellishment under skirt adds to classic feel without adding weight to the dress. 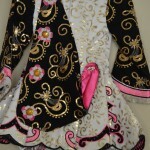 This dress has seen the top of the podium many times and is now ready for a new champion to continue the tradition! Stored flat in a smoke-free and pet-free environment. Comes with two headbands and kickpants. 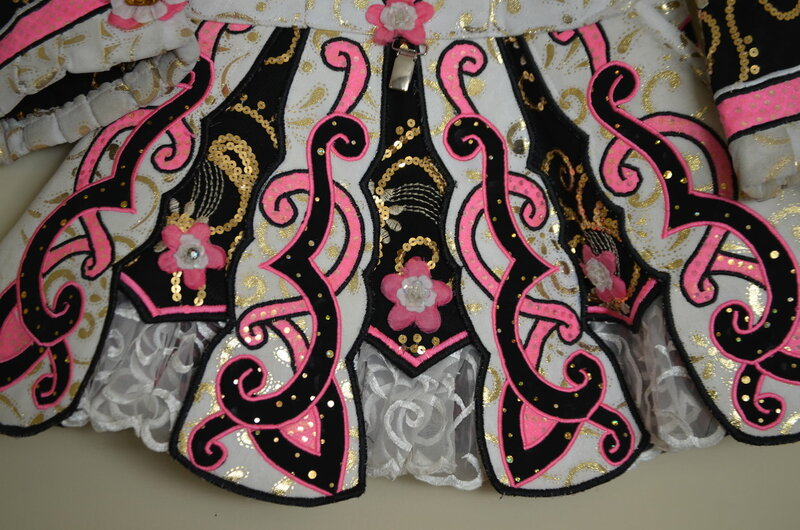 Asking Price: $US350. Shipping costs are not included in the asking price. Sale is final.